This scene here (nicknamed ‘bongo train tug’) we worked on for ages, trying to get every scratch and musical move to mirror the action and movement in the animation and on screen.. No one had really done anything like this before so we were working out how to do it as we went. The Story Behind 'Spider-Verse' Using "Sunflower"
Stream the new Spider-Man Christmas EP. 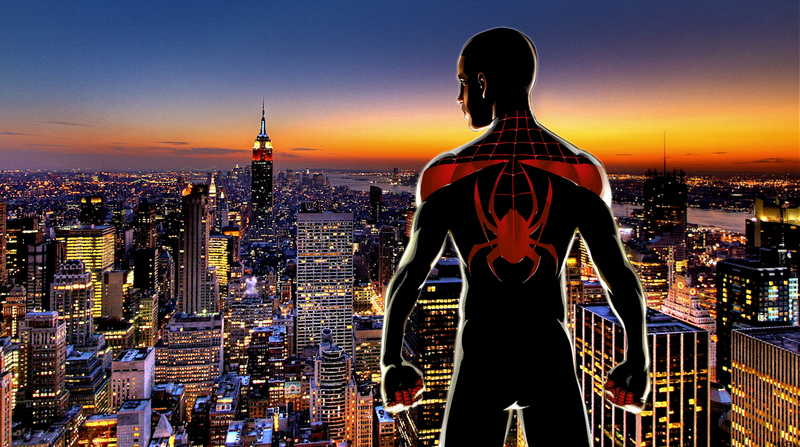 Our comic book thread puts together a reading list those wanting to read more Spider-Man.